A great addition to any bedroom. This Full size bed is upholstered in dark gray woven fabric. 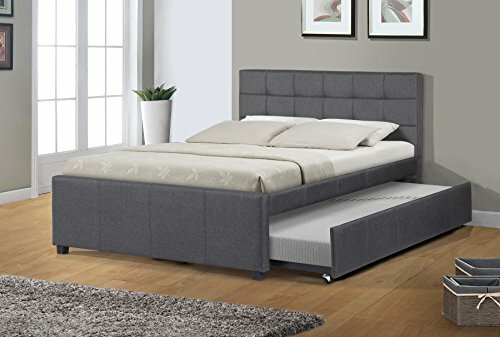 Beneath is an accessible trundle bed in a size twin that can be easily pulled out. The headboard is holds a traditional style tufted design. Wheels are provided underneath the trundle for an easier access and smoother transition from underneath the bed and out.